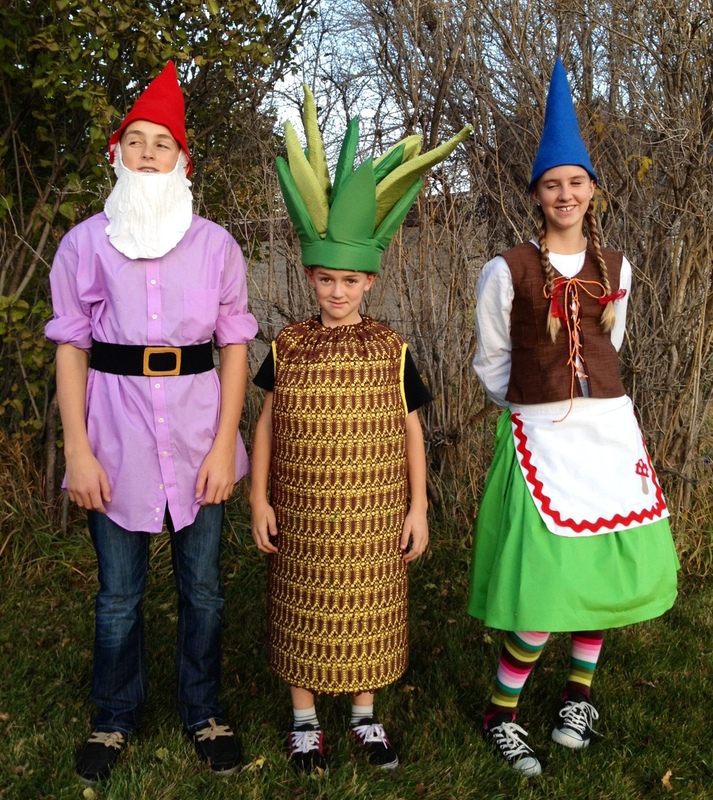 All Hallow’s Eve recap, and here they are- the players from our house… just a couple of gnomes and a pineapple. 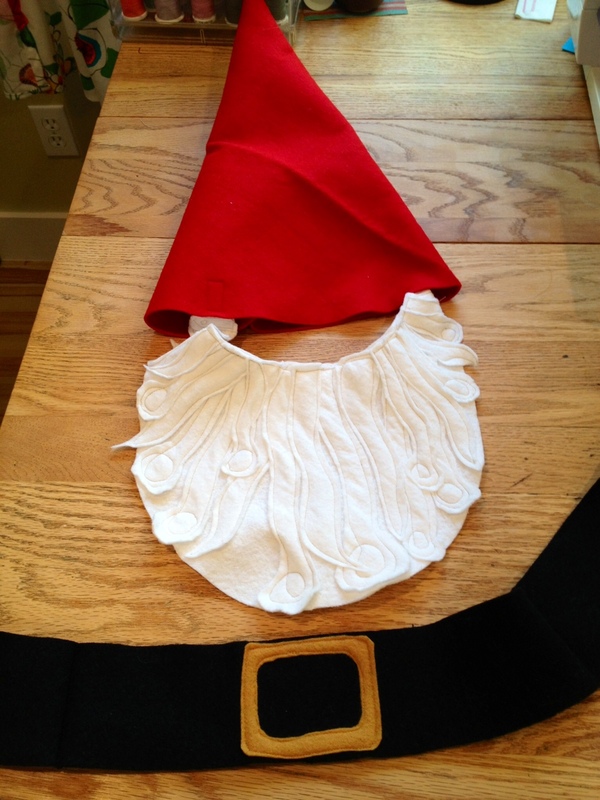 These gnome are fairly easy costumes to put together, with quite a few everyday- closet elements involved. Just a few details like: hats, beards, braids and belts and you’ve got it! 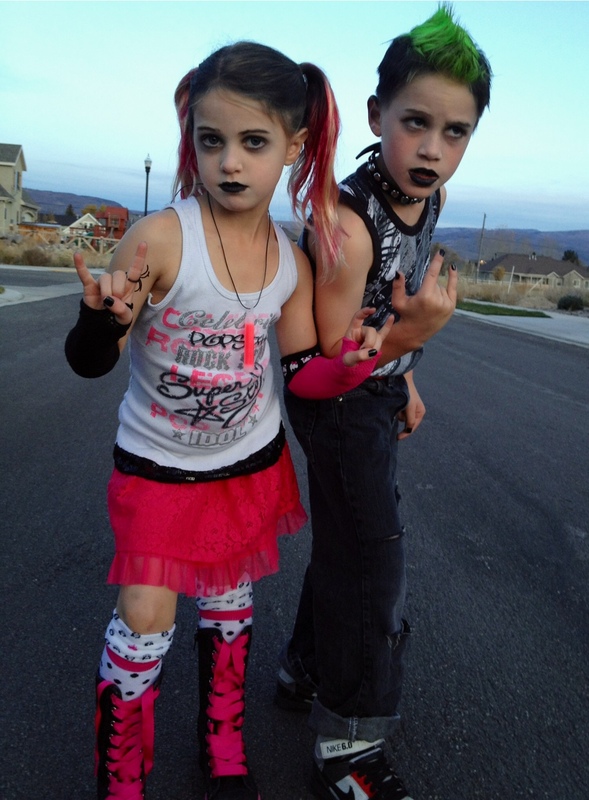 And Halloween DIY costumes are always the best and most clever at any party or trick-or-treat circuit. 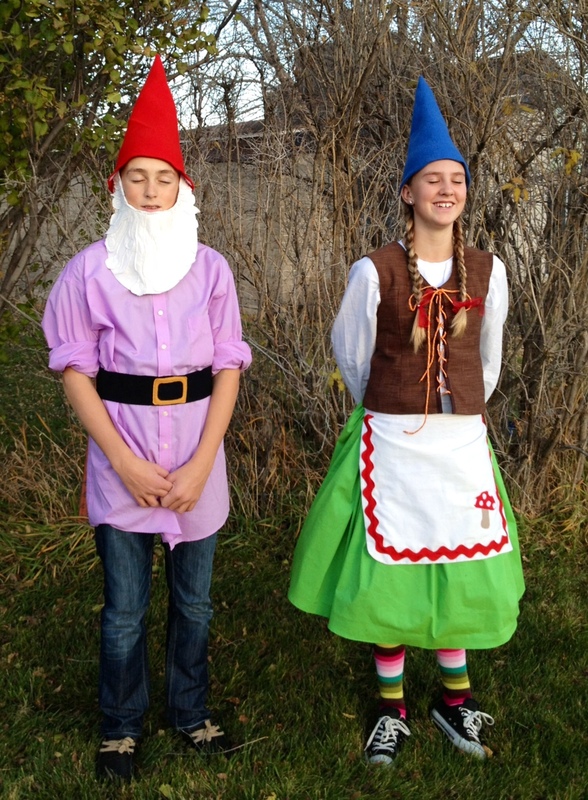 Sleepy gnomes, but still having fun taking pictures… as you can see. 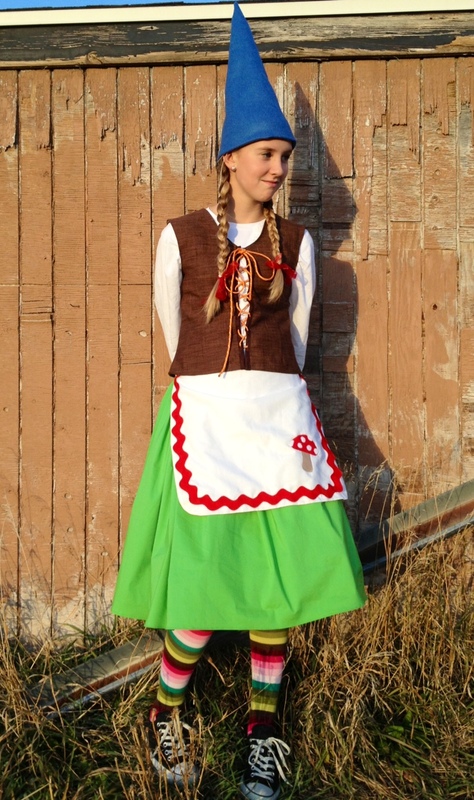 Girl gnome costume– quite simple really- a felt pointy hat, apron with rick rack and a mushroom sewn on, lace-up-the-front vest (could be made from felt for a super-simple version), and a elastic-waisted bright colored skirt. I tried to paint rosy cheeks and a few freckles on this gnomes face but she would have none of it. Real life costume add-ons: striped tights, white shirt, Converse sneakers, long braided hair. 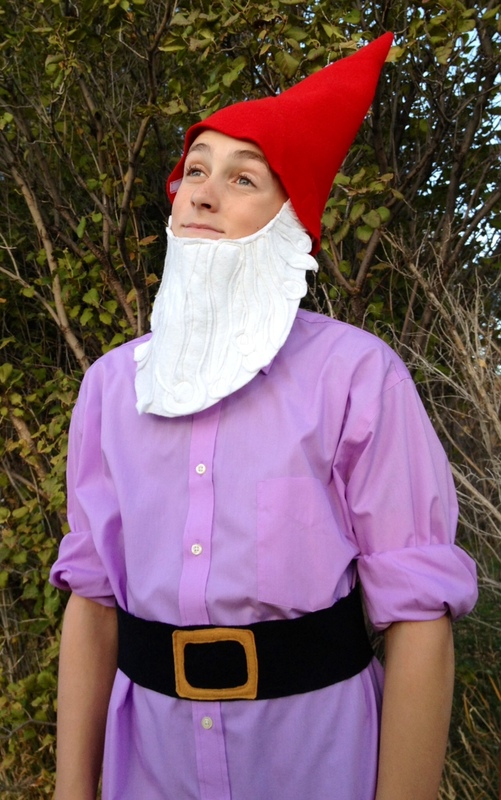 Boy gnome costume– super simple costume-in-an-hour, and I’m not kidding. All you need to make for this costume to be a success is a hat, beard and belt. Real life costume add-ons: Brightly colored long shirt, pants or tights (yippie!) and a gnomish pair of shoes from your own closet. Make the beard from white felt. 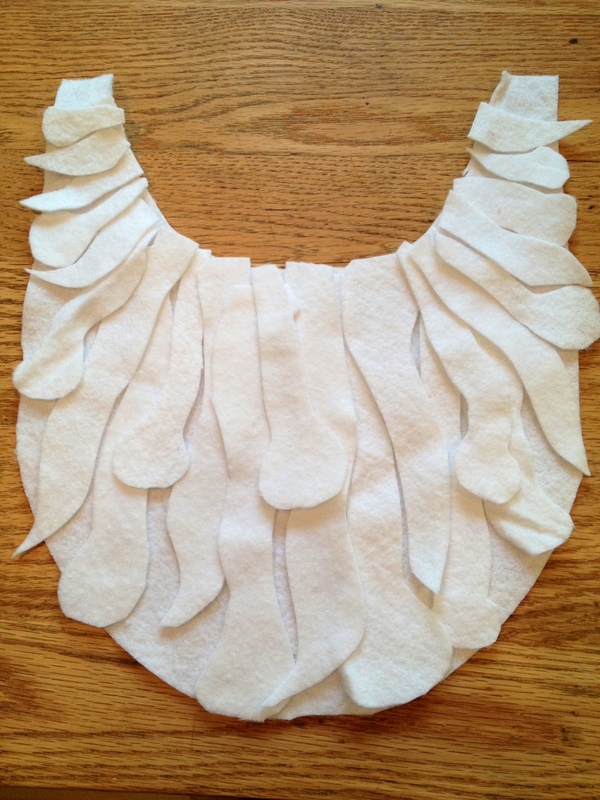 Cut one solid piece in the shape of a beard (with extra on each side to be velcroed in place under the hat) then cut accent beard shapes also from white felt and top-stitch them into place. Sew down the beard accent pieces, I used light tan thread so the detail would be more visible. Velcro is sewn to the inside of the hat and onto the upper two sides of the beard. The hat is a single piece of felt (cone shaped) with a single seam closing it up. The belt is also felt- in black and gold. The buckle is cut out from gold felt and top-stitched into place. This belt is 3 inches wide, overlaps to close in the back. I attached it to the person with a giant safety pin on the inside, in the back (leaving it to be fastened with a safety pin is good for adjustability too). 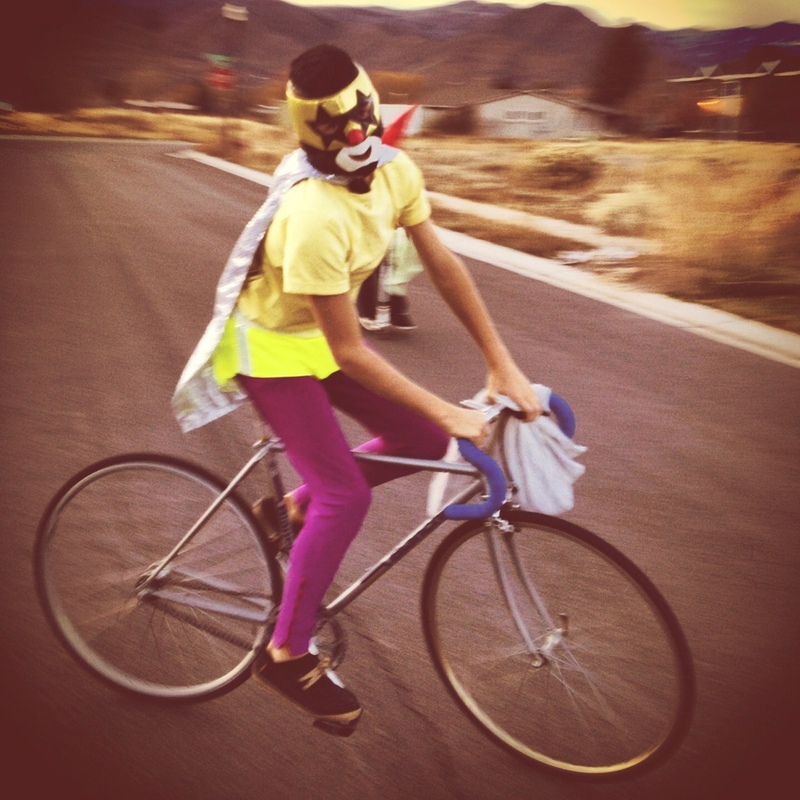 And then the boy gnome turned himself into a luchador and trick or treated throughout the night and lived happily ever after! 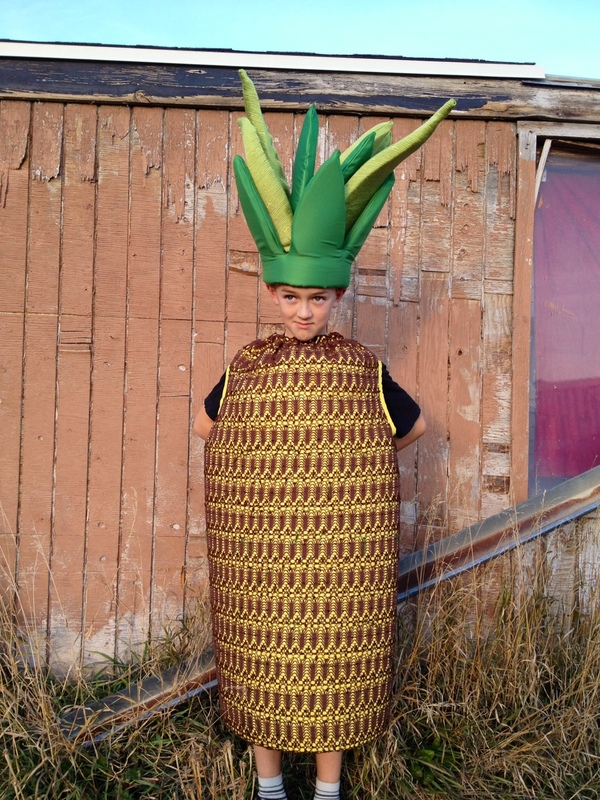 This entry was posted in costumes, design, fabric, sailing and tagged costume in an hour, DIY, felt, gnome costumes, handmade, luchador mask costume, pineapple costume, punk rock kids on November 1, 2012 by NoelleOlpin.